Google this morning officially announced a new tablet, the Pixel Slate, alongside a handful of other new products including the Pixel 3 phone and Home Hub. Announced today at Google’s hardware event in New York City, the Pixel Slate is a Chrome OS-powered tablet that is also capable of transforming into a laptop using a keyboard dock. Essentially this is Google’s take on the Microsoft Surface. The Pixel Slate starts at $849 CAD and comes in a variety of configurations; the highest-end model, which features Intel’s eighth-gen Core i7 CPU, 16GB of RAM and 256GB of storage, costs $1,499 USD. Google did not announce when the Pixel Slate would ship, though you can sign up to be notified of availability on the Google Store. “This Chrome OS device is both a powerful workstation at the office, and a home theater you can hold in your hands,” a blog post from Google introducing the new device says. The new Chrome OS–powered device has a high-resolution — 3000-by-2000-pixels — and a 12.3-inch display. 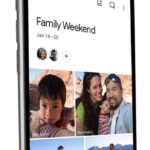 Google was able to make the screen so sharp because of an energy-efficient LCD technology called Low-Temperature PolySilicon (LTPS), which let the company pack in more pixels without sacrificing size or battery. In fact, the Pixel Slate is supposed to last up to 12 hours on a charge, which is impressive for its skinny 7mm profile. The Slate’s front and rear facing cameras are 8MP, using the same machine learning found on the Pixel handsets. It can also shoot in wide screen and portrait mode. The Pixel Slate also features two USB-C charging ports that can also connect the Pixel Slate to a display. It’s available in just one color: midnight blue. The Pixel Slate works with the brand-new Pixel Slate Keyboard, which connects to the tablet via a magnetic port, much like the iPad Pro. It has a trackpad included and boasts “hush” keys — the keyboard doubles as a tablet case when it’s folded against the screen. 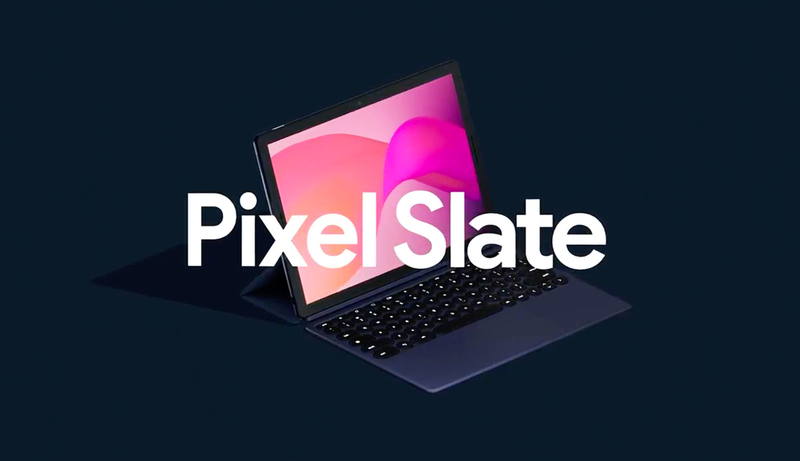 Check out Google Canada’s official blog post regarding the Pixel Slate tablet here.